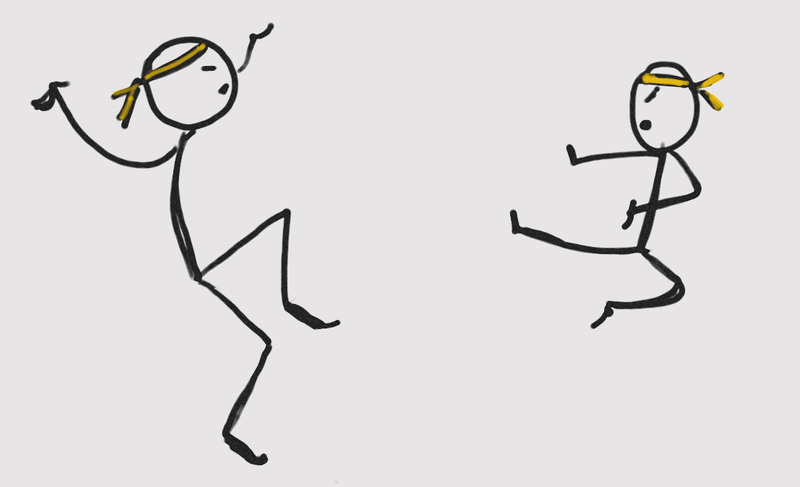 When our nephews started their kung fu classes, their favourite thing was running around the house kung fu-ing each other. Jumping on sofas, kicking pillows, screaming hooya. You get the picture. It was driving us all insane. Of course being children, they didn’t listen to our pleas for silence. It was as if no one in the room existed other than the two karate kids. We wanted to influence them (without upsetting them) to quieten down! They froze mid-kick and clambered over each other, yelping, “Me me me! I want to be a kung fu master”. They sat on the sofa, eagerly waiting to hear this wisdom. They nodded their heads vigorously and arranged themselves on the sofa, squeezing their eyes shut, willing the kung fu gods to make them masters. 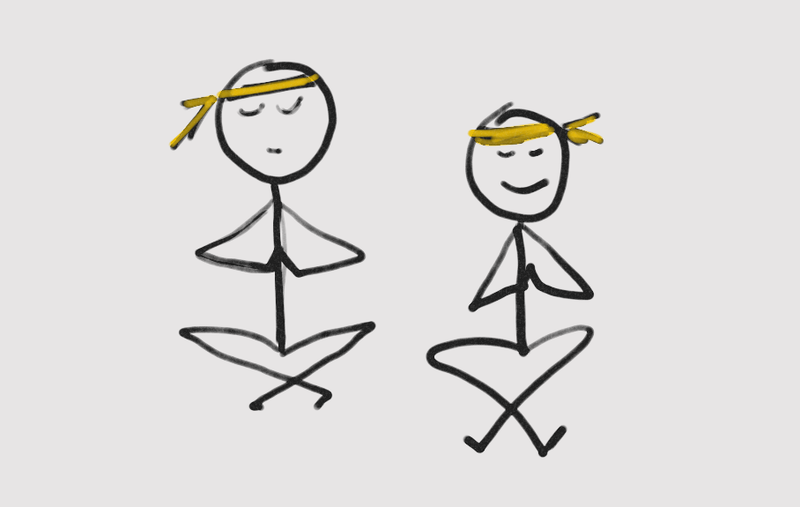 The two precious aspiring kung fu masters sat in blissful silence for the next half hour. In kid time, that’s an eternity! Telling them to stop making noise serves my interest, not theirs. But teaching them to be kung fu masters serves their interest and ours…and world peace! The biggest mistake I see people make when trying to influence others is that they think only from their own perspective. They build their case thinking about why it’s good for themselves. To influence someone to do something you must think from their perspective. 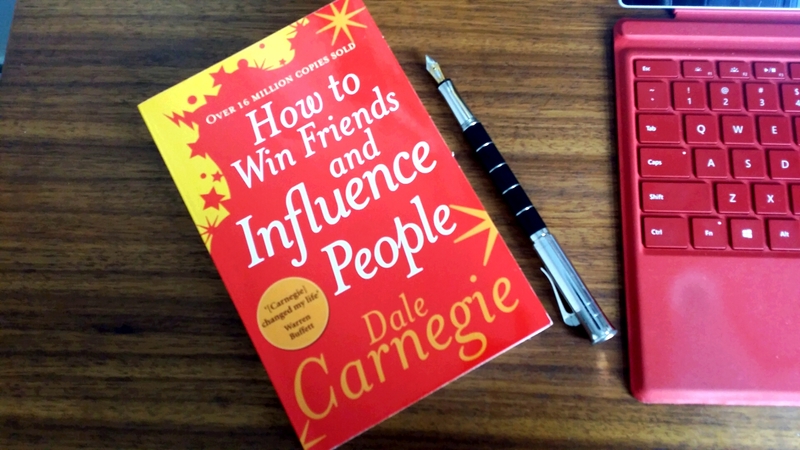 In Dale Carnegie’s legendary book, How to Win Friends and Influence People, he shares with you a way of being that seems more relevant today than 20 years ago as tech distorts social interactions. If you want to be relevant and not let robots take your job, cultivating the art of human relationships will make you stand out because robots can’t compete with being human. For now, here’s a summary to whet your appetite. If there’s any one secret to success, it’s the ability to get the other person’s point of view and see things from that person’s angle as well as yours. A long long time ago when people used landlines, the New York Phone Company studied 500 phone conversations to reveal the most used word. Can you guess which word won? It was “I”, used 3,900 times. Studying your communication and counting how many times you utter me, I or mine versus you, yours, you’re (and those sort of descriptors) is a pretty good indication of whether you are thinking from your perspective or theirs. If you only get one thing from his book, let it be this tip. It will easily prove to be one of the stepping stones to your success. I have to agree with him. It’s a simple yet foundational shift that changes your communication. Humans have a primal need to be understood. You can only understand them by truly listening to them. When you do, you encourage the other person to be more open minded about your ideas. Telling someone they’re wrong is a guaranteed way to get their back up. Instead say, “Maybe I’m wrong, but let’s examine the facts.” Then hear them out. 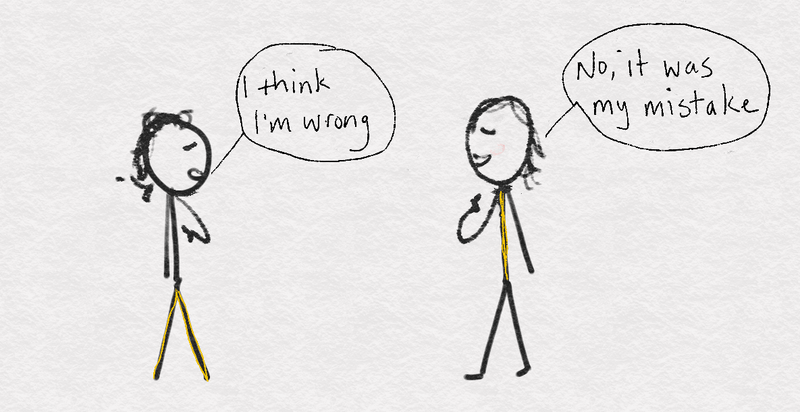 Admitting you might be wrong stops an argument while inspiring the other person to be fair and open-minded. It also provides them the space to admit they might be wrong. Sometimes you have to criticise people so that they can improve. To give constructive criticism, always start with genuine positive praise and appreciation. When I was a Toastmaster (public speaking club), the standard format for feedback was commend, recommend, commend. It’s affectionately known as CRC. Always sandwich constructive criticism between two positive praises. It makes it easier to swallow. Admitting your own mistakes first is another way to ease into constructive criticism; knowing others are making mistakes makes hearing advice and criticism much easier to accept. The same applies when you’re speaking with prospective clients, when you want to point out where they’re making a massive mistake. If you point out the mistake first, they will get defensive and shut down. If instead you mention it’s a common mistake or an industry blind spot, they’re less likely to be defensive and will more likely open up to you. When you are wrong, always admit it quickly and emphatically. If you tell anyone they are dumb at a certain thing, has zero talent for it and they’re doing it all wrong, you destroy every incentive to try and improve while diminishing every ounce of confidence in them. Be liberal with your encouragement, make the thing seem easy to do, let the other person know you have faith in their ability to do it. For example, my focus is helping people who’ve never sold before, get clients. I help them realise how simple it is by explaining that there’s nothing to it apart from being deeply caring and deeply curious about people and asking questions. My clients let go of their resistance and work harder to learn. They amaze themselves with their own achievements. The only way to get someone to do something is by making them want to do it. People have a desire to be appreciated and feel significant. Guess who won the election? It was the one who made others feel intelligent and fascinating. Often in gatherings, especially when no one knows each other, sometimes it sounds like a game of one-upmanship. Always make the other person the smartest in the room. It makes them feel good and they associate that good feeling with being around you. To be a good conversationalist, be a good listener and encourage the other person to talk about themselves. People are 100 times more interested in themselves than in you or your problems. The road to people’s hearts is to talk about what interests them most. Any guesses what that might be? I used to make annual trips to the World Bank meetings for work and hated the evening networking. My strategy was to let the others talk. One time, after 20 minutes chatting with an investment banker, he said, “What an interesting conversation, thank you very much, I enjoyed that, good to meet you.” I asked about five questions and he did ALL the talking. The funny thing about arguments is that you never win. Win or lose, you lose. By running over the other person’s view, you feel superior and make them inferior. You hurt their pride and they will resent you. It’s a vacuous victory, you’ll never earn a person’s goodwill by putting them down. You can measure the size of a person by what makes them angry. To avoid arguments, focus on areas of agreement and where can you admit your mistakes. Doing so disarms the other person. One time I took the train for a work engagement about an hour out of London. On my return, I realised I threw away the return ticket instead of the surplus receipt. When the ticket inspector checked tickets, I explained I threw the wrong stub and gave him the receipt to show I bought a return. “Sorry ma’am, you’ve not got the correct ticket for this journey, you will be charged the full single ticket price.” The additional price would amount to double the entire journey. Legally, he could have charged me the fare from the beginning of the train line, not just from where I boarded, which would have cost more than £100. I could tell he wouldn’t move his position. His face softened, “I will check over there and then I’ll be back.” And I didn’t see him again. Socrates, a classical Greek philosopher, was known for asking questions to stimulate critical thinking and persuasion. To get agreement, get the other person saying “yes yes” early. Doing so sets the psychological process in a positive direction. When someone says yes, they’re not just saying it with words; their entire nervous system says yes. You get the “yes yes” by asking two consecutive questions that leads to agreement. When you want to ask someone to do something, instead of saying, “Don’t write it like that”, ask them, “Do you think that would work?” Or, “Maybe if we structured it like this, what do you think, better?” This way gives the other person the freedom to choose, values their input and encourages cooperation. No one likes other people’s opinions rammed down their throat and neither do people like being told what to do; it’s called psychological reactance theory. When you feel your freedom is being taken away – which is how it feels when you’re being told what to do – you’re strongly motivated to do the opposite. Instead, let people come to their own conclusions and restrain the desire to take credit for everything. When you want someone to adjust their behaviour and improve in a certain area, act as though that trait already exists within them. I love the example in the book where a Ms Hopkins, a fourth-grade teacher from Brooklyn, New York, looked at the student list for her new class next term. On that list a name jumped out like a spider. Tommy T! Ms Angela, his third-grade teacher, complained about him all the time to anyone who would listen, claiming he had serious discipline problems. When Ms Hopkins greeted her new students on the first day, she made a few comments to each student, like “Rose, I hear your drawings are beautiful, Sam, I’ve heard about your sports, Tommy, I understand you’re a born leader. I’m going to need your help making this the best class in fourth-grade this year.” For the next few days Ms Hopkins reinforced his new reputation by complimenting everything he did. Little Tommy didn’t let her down. Following a workshop, I spoke on the phone with a workshop attendee. 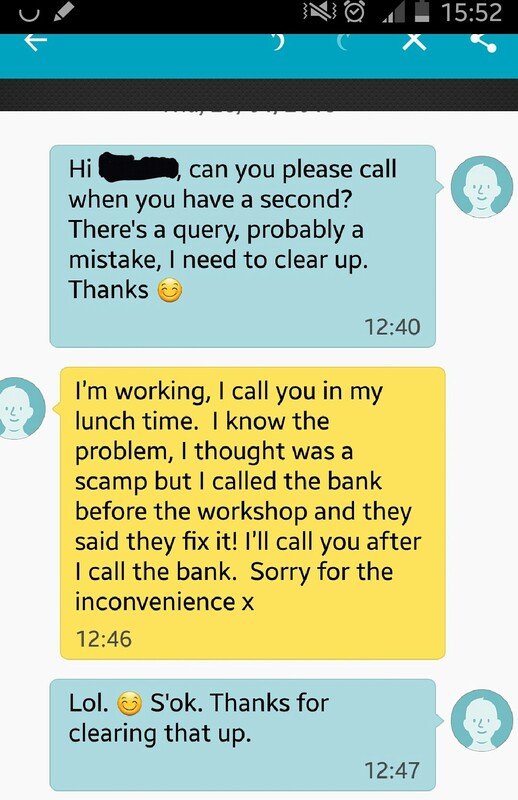 The lady was very happy so I was surprised when I received a notice from Paypal that this same person requested a refund for her “accidental” ticket purchase. 2) Oh, I wonder what happened? Must be a mistake. When in doubt, the only reasonable way to proceed is by appealing to their sincere, honest and truthful selves, and you will see that most people are willing to cooperate. Compared with what we ought to be, we are only half away. We are making use of only a small part of our physical and mental resources. Stating the thing broadly, the human individual thus lives far within his limits. He possesses powers of various sorts which he habitually fails to use. I love this quote and it applies to you, too. You possess dormant powers which you’re not using. One of those powers is the ability to influence people, inspiring them to realise their fullest potential. If you embody this mindset with every single person you encounter – friends, family, colleagues, clients – they will enjoy your company. It’s a new way of being and changes everything. Which one item from this list can you pick and start practising today? Tell me in the comments. You can buy How to Win Friends and Influence People, by clicking on the book cover, below.